Moisture problems can be caused by a number of environmental factors. The most common in our area is condensation forming on the air conditioning duct work under your home. 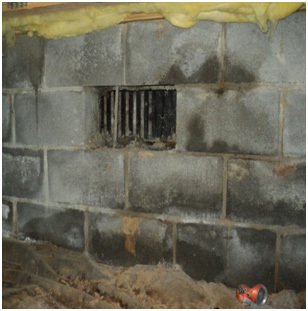 This is caused by warm, humid air entering your crawl space through the vents around the perimeter of your home. Warm air can hold more moisture than cooler air. For every degree air is cooled, the relative humidity increases by 2.2%. For example, if the outdoor temperature is 95 degrees and the relative humidity is 70%, the air can only be cooled by 13.5 degrees before the relative humidity will reach 100%. Once the relative humidity reaches 100% condensation will begin to develop. The temperature at which this occurs is also known as the dew point. This is the same principal that causes condensation to form on the outside of a glass of ice water. When the air is cooled to a point that it can no longer hold all of its moisture it will give up this excess moisture as condensation. In the above mentioned scenario where the outdoor temperature is 95 degrees and the relative humidity is 70%, the dew point would be approximately 81 degrees. What this means for you as a homeowner is that any surface that this hot humid air comes into contact with that is cooler than 81 degrees will result in the formation of condensation. Most duct work is around 65 degrees when the air conditioner is running. This is what causes your duct work to “sweat” or have condensation form on the surface. 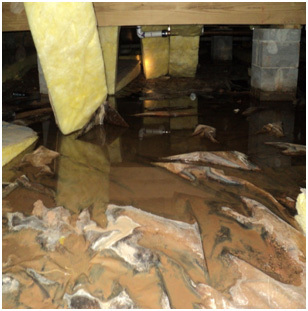 The wood in your crawl space can then absorb some of this moisture and once the moisture content gets above 20% wood decay fungus can begin to grow. Fungus requires three environmental conditions to grow and spread. The first is an adequate moisture source, the second is temperatures above 60 degrees, and the third is a food source. The food source for wood decay fungi is the cellulose in your wood which is also what provides your wood members the rigidity that support your home. Unfortunately, due to the climate in Southwest Georgia, many crawl spaces provide an ideal growing environment for fungus and we have a long growing season when compared to our neighbors to the north. 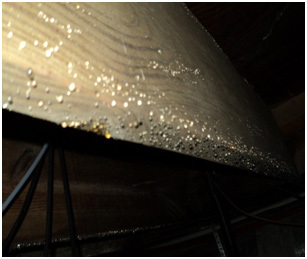 The installation of a dehumidification system will address this problem. Another cause of moisture in crawl spaces is the evaporation of soil moisture. When the moisture that naturally occurs in the soil evaporates under your home, the wood can absorb the water vapor which can elevate the wood moisture content to the point where conditions support fungal growth. 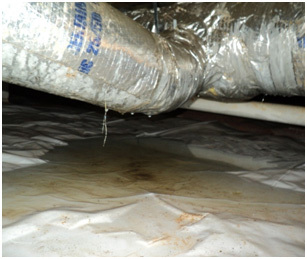 This evaporation can be prevented by the installation of a vapor barrier. If you have standing water under home, this can be caused by poor drainage. This can be the result of the yard not being properly graded which can allow water to seep under the home after it rains or when you water your lawn. Some solutions to this problem include the installation of a French drain, sump pump, gutters to divert water away from the home, or some combination.